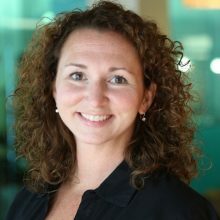 With over 20 years of marketing technology and industry expertise, Joanna Milliken currently serves as SVP of Product Management for Salesforce Marketing Cloud responsible for product strategy, roadmaps and execution, and the go to market success for multiple lines of business. She is the executive sponsor and an advisor to many world-renowned brands and participates in customer advisory boards across North America, EMEA, and APAC. Joanna joined Salesforce by way of the $2.5B acquisition of ExactTarget in 2013, and as its first employee, she grew the business from startup to industry leader. With deep expertise in email marketing, she helps companies implement digital marketing strategies and technologies that drive customer engagement at scale. Joanna built her foundation in marketing while at Hallmark and got her start in technology with iProperty, a real estate software company. As both a marketer and technologist, she is passionate about helping brands use innovative approaches to build better customer relationships. A proud graduate of Indiana University, Joanna also sits on the board of the IU Kelley School Institute for the Digital Enterprise.